This trip is not ground breaking or glamorous but it means something different to each of us. To Mike it is the second annual trip of it’s kind, a way to ring in the new year and a calloused middle finger to those who say the nights are too cold for road trips into the interior of California. This is Andy’s chance to celebrate his oft-neglected birthday (December 25th). For Chris this trip marks a return to bicycles and road trips after months of a stiffened lower back and the intense work schedule of a consulting geologist. Murph, with his enviable “just jump in the car” attitude is simply living out one small adventure in a series of adventures. For me, this is a denial of the crippling cold I have come down with. Determined to get out of town and knowing that a cancellation will be met with equal parts derision and guilt, I decide to go despite my better judgment. In my backpack full of extra inner-tubes, clean socks and a helmet, I lay in Advil, cold medication and Vitamin C.
The majority of our drive looked something like this. We “splurge” this time and split our load of 5 people, bags and bikes between two cars. 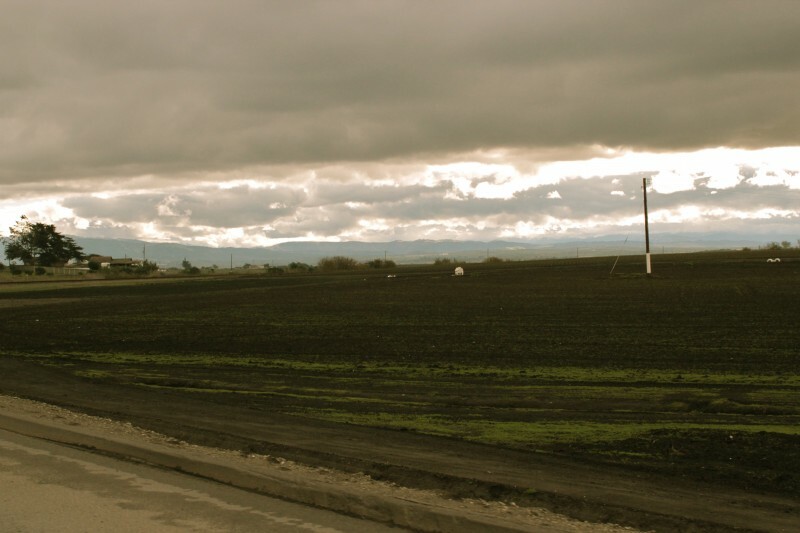 We leave Santa Cruz around lunchtime and while the skies look a little threatening the weather holds out all afternoon. 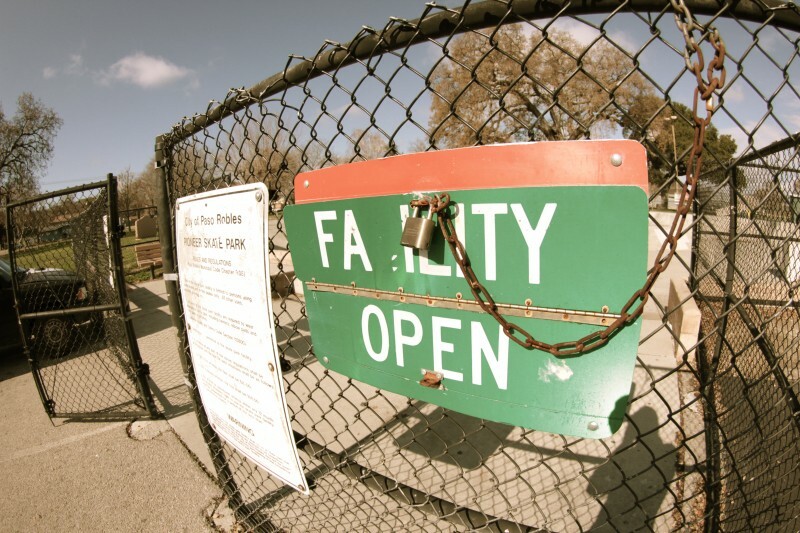 We stop and ride Greenfield’s remote skatepark. Greenfield holds a special allure for us from Santa Cruz since it is a slightly scaled down version of the monster Scotts Valley bowl back home. We are men who have been cooped up for the last week, celebrating Holidays and shopping in crowded stores, looking mournfully out the window at the near constant rain. Mike and Murph. Puddle dodging. 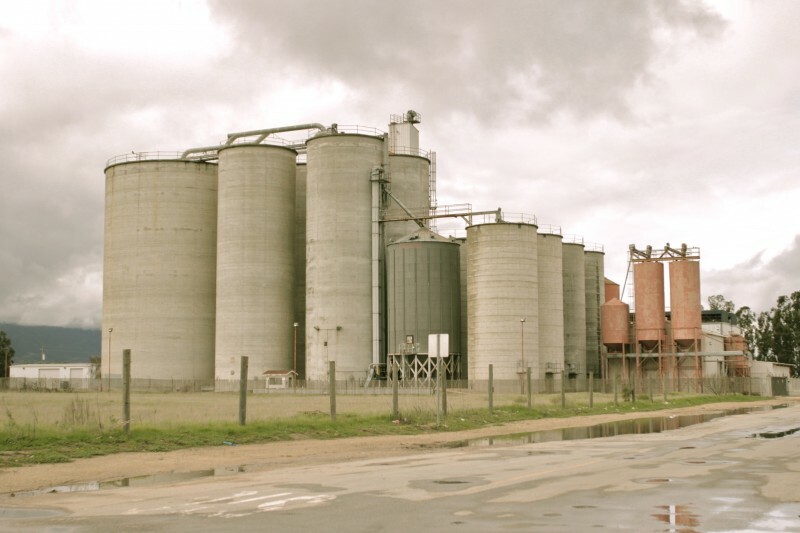 Greenfield. Andy. 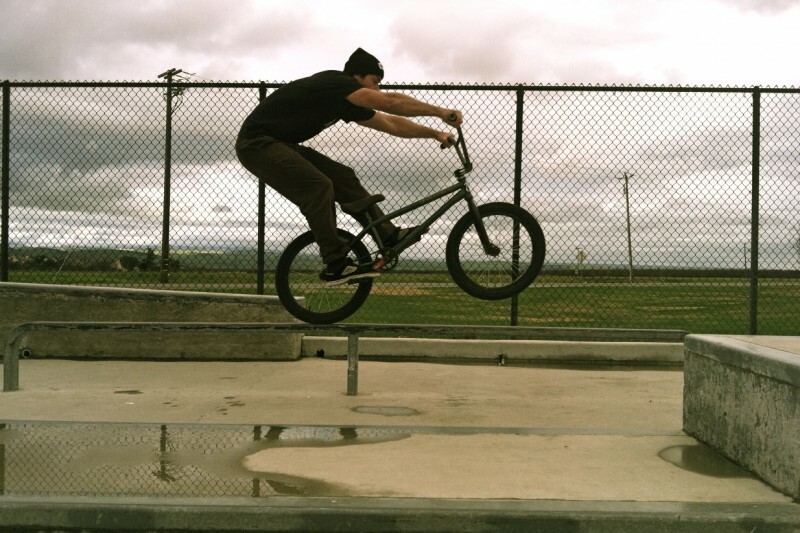 Rail Manual to Barspin. Greenfield. Andy avoids puddles in the street course with the occasional dip in the bowl, while Murph, Mike, Chris and I take turns riding and shooting blurry cell phone photos of each other. As always we stick to three of the “5 T’s” (toboggans, turndowns and tables) but we ride with exuberance and goad ourselves into finding new lines in the only slightly familiar bowl. Chris McMahon aka Beerman. Channel table. Greenfield. After a quick stop for burritos at the back of a Greenfield carnicería we gas up and head further south on the 101. 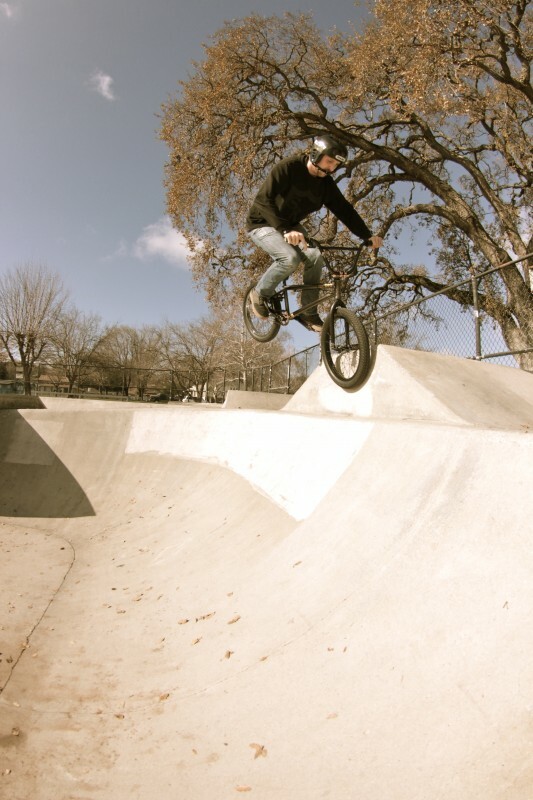 We pull into the Atascadero Skatepark parking lot as the winter sun slides behind the surrounding foothills. Temperatures plunge (by California standards) and we find the warehouse only slightly more inviting than the crisp air outside. Indoor skateparks are rare in California and finding one funded and maintained by a municipality is like coming across a four leaf clover in the desert. Kevin, the caretaker of this dusty old cavern, greets us at the front counter, his camouflage parka zipped to his chin against the cold. We have arrived at the tail end of an open session but we have also reserved the place for a private session from 7-9pm. The park is overrun by scooters but the majority of our group wade in to brave the swarming course while Murph and I sit in his car, taking nips of Jameson and watching videos on his Jerry-rigged dashboard DVD player. We leave to get pizza (keep in mind we have birthday boy Andy in tow) and return as the rest of our private party is showing up. Alex Raban, Steven “Ted” Anzel, Jesse, Dan and Brandon Eckles round out our group. We are all roughly the same age and I imagine there is well over a 100 years of combined riding experience on the deck. We take turns feeling out lines, guided by the guys with more local knowledge. No one takes any photos or films a clip. We clap, nod our heads, laugh when someone slides across the floor. Everyone rides well and very differently. Andy taps into his inner box jump jockey and does combos that would make a young Todd Walkowiak smile. Alex Raban, with his years of street spot knowledge spies a strange transfer to smith down the side of a landing and tumbles repeatedly until he gets it done to his satisfaction. Mike, normally in search of whatever feels most like a series of doubles, opts to put his axles all over the skatepark’s small rails. Tomorrow he will complain of soreness after all the hopping. My cold seems to lift while I am in motion and for the hour and a half we ride I feel like myself. I will pay for this later. Fearing the near certainty of rain we “splurge” again, this time on a dirt cheap motel room. Brandon has lived in Atascadero his whole life and has never set foot in one of the rooms, even though he had read about the motel almost every week in the local newspaper’s wryly written Police Blotter. A quick google search for the “Racho Tee” unearthed some dismal Yelp reviews as well as this gem: An Albertson’s employee reported that a person inside the store refused to leave, and kept falling asleep in the aisles. Officers contacted the subject, who was taken to the Rancho Tee Motel. Maybe the place isn’t the Ritz but we are grateful for the roof over our heads and a place to share some beers and stories. My only contribution to the night is the occasional nod from one of the hotel beds. At this point I have completely lost my voice and it is all I can do to shower and crawl into bed, swaddled in coarse motel blankets and sheets that smell slightly of onions and bleach. The bar across the street serves the guys pitchers of Pabst until closing time, 12am in this sleepy town along the El Camino and they stagger in afterwards joking and ribbing each other. They sleep close to where they fall, splayed out on the shag carpet with limbs sticking out from under borrowed blankets and sleeping bags. We awake to cold weather and rumbling stomachs. 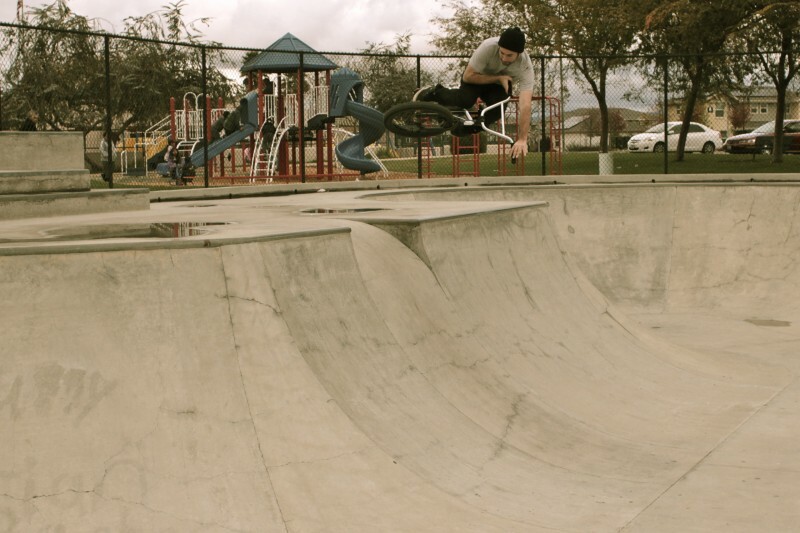 We pack quickly and after breakfast at a diner we visit Templeton skatepark. I am so thoroughly defeated by my cold at this point that I leave my bike in the car. We blow steam as we walk over to the fence, only to find it locked. Jesse is already in the skatepark with a hoodie pulled tight around his helmet. He is drying the dewy bowl and he looks up to meet Mike’s worried gaze, “Don’t puss on out on me bro, I see that look in your eye.” Mike reluctantly obeys, hoisting his bike and then himself over the tall wrought iron fence. After a while Ted joins us and I sit on the sidelines, soaking up sun while the group nibbles around. The skatepark shares a parking lot with the church next door and a proselytizing skateboarder in his 70’s comes in wearing full pads and a fanny pack. He wobbles around (surprisingly well) and after a while pulls a stack of prayer cards from his fanny pack and insists on giving us each one so that we might be saved. He tells Mike that he met a prophet a few years back who told him he would become a gifted skateboarder. 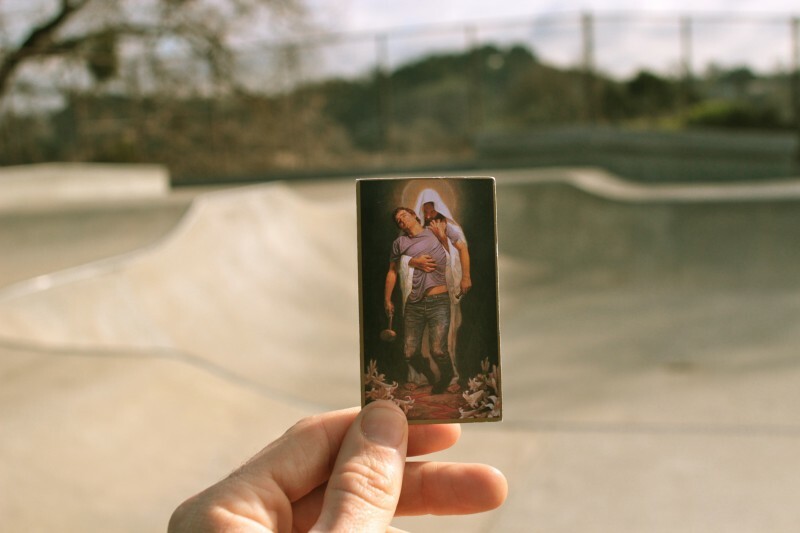 He has visited 180 skateparks and I picture him as he might see himself, zipping across the country on his skateboard, fiery sword stretched towards the heavens, a wake of a thousand prayer cards cast from his 77mm urethane wheels. 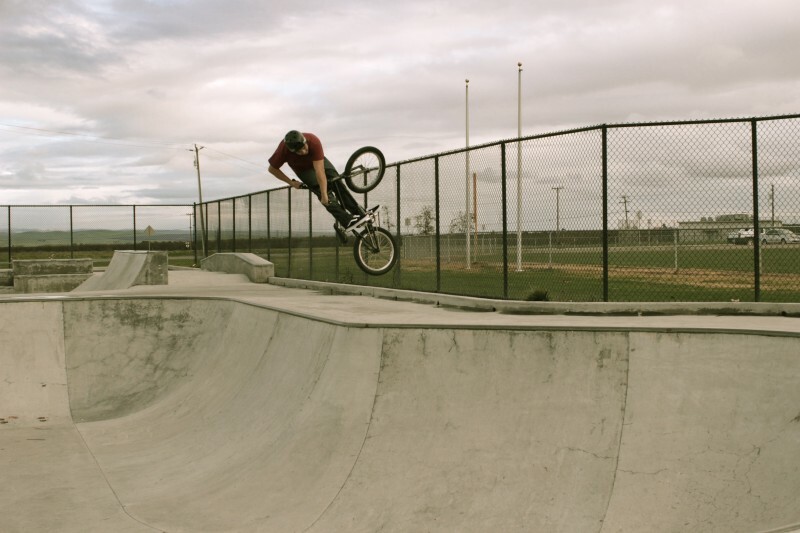 We pack it in and decide to start back home with one final riding stop at Paso Robles skatepark. I’m not sure who designed or built the park but they definitely didn’t understand the physics of skateboarding. Every bank ends abruptly, meeting the ground at a 45 degree angle and the snake run is impossibly tight. The cement has the wavvy texture of an obsidian arrow head and seems to have been carved in relief rather than poured. Ted and Jesse literally grew up at this place and it shows in their riding. Ted rides with a Wizmerski like ability to manual and peg bonk seemingly unrideable surfaces. Jesse rides with the power that you would expect from his sturdy build and I think I see the snake run bend and wince under his tires. 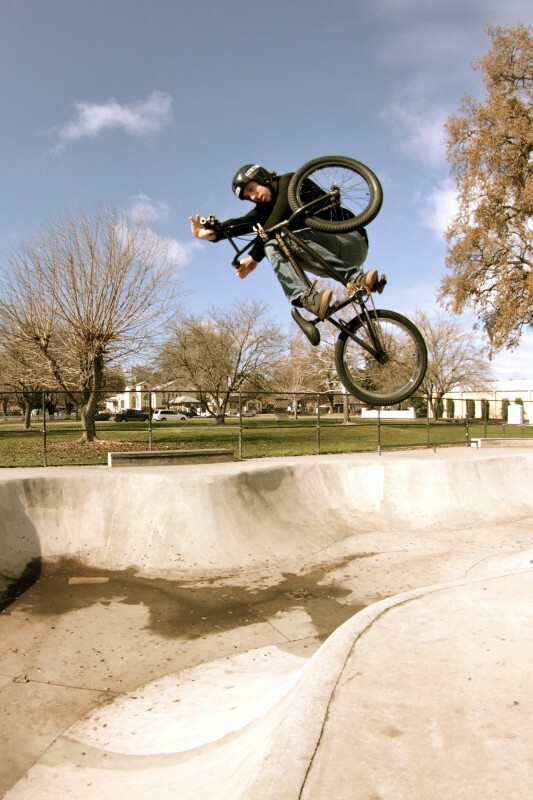 Jesse blasts a table in the Paso Robles snakerun. Steven “Ted” Anzel. Watching Ted do this invert was a little scary since the “landing” he was using was an incredibly tight pocket of the snake run. Jesse. 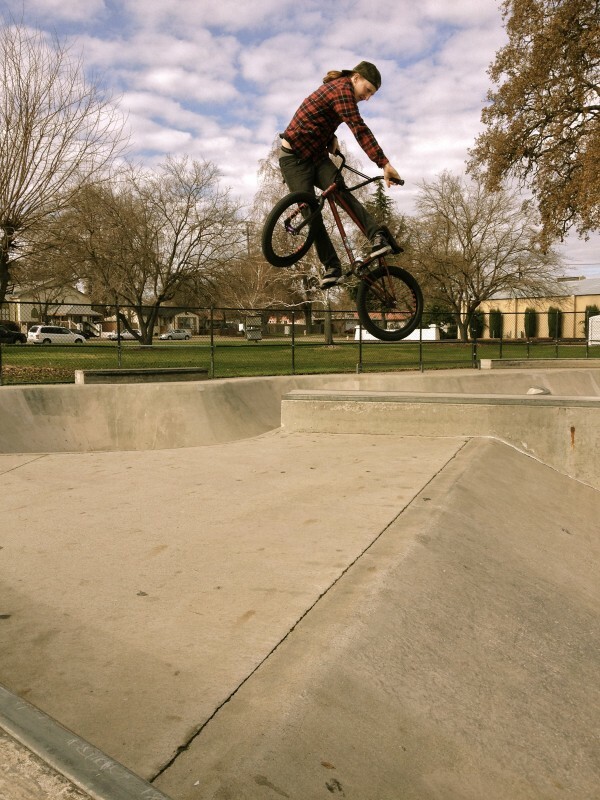 Unexpectedly high 360 over the Paso Robles box. Jeff Murphy. 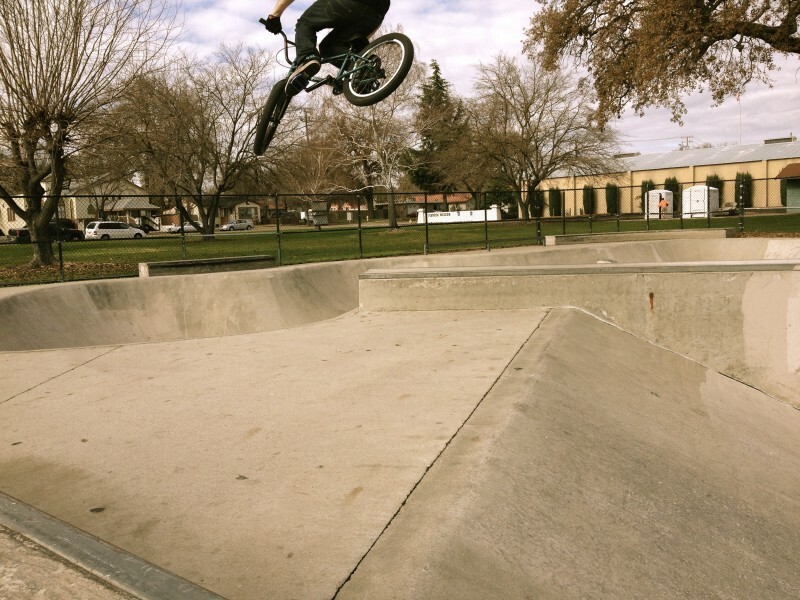 Turndown. Paso Robles. We say our goodbyes and as we pile into the cars I realize our trips have finally converged. We are all headed home. Dirt mound enthusiast. Amateur blogger. Professional hot mess.